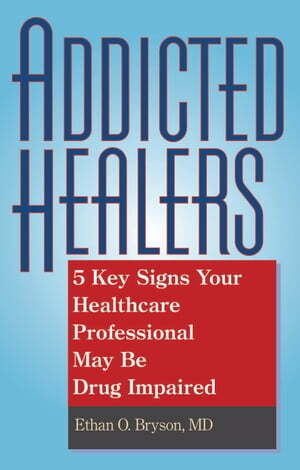 Collins Booksellers - Addicted Healers by Ethan O. Bryson, 9780882824123. Buy this book online. Prescription drug abuse represents a serious and growing public health problem in the medical profession. We the public have a right to know what we are getting into when we walk through the doors of a hospital or doctor’s office. One to two percent of all healthcare professionals will become addicted each year. This figure is rough, since not every addicted healthcare professional overdoses, gets caught or ends up in a treatment program or before the state medical or nursing board for disciplinary action. If they do enter treatment they may do so anonymously or not through a referral from a state agency. Because of these issues, the prevalence of addiction in the population of healthcare professionals remains unknown.